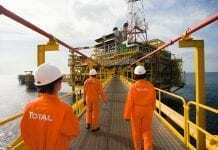 (S&P Global Platts) Total expects its deepwater oil and natural gas production to grow by more than 40% to around 500,000 b/d of oil equivalent by 2025 on the back of new projects in offshore Brazilian and Gulf of Mexico waters, and sees supportive market conditions for approving developments generally, it said Tuesday. In a strategy presentation broadcast from New York, Total said it expected upstream production growth of 6%-7% annually in 2018-2020, taking its output above 3 million boe/d, after a more modest 4.6% growth last year. From 2020 onwards, it expects production to grow by 3%-4% annually, chief financial officer Patrick de La Chevardiere said. Around 20% of the growth up to 2020, or 600,000 boe/d, will be down to new projects such as the Yamal and Ichthys LNG projects, which came online in December 2017 and in July, respectively, the Fort Hills oil sands project in Canada, which came on stream in January, and Angola’s Kaombo deepwater oil field, which started producing in July, Total said. In addition, deals over the last three years, such as the $7.5 billion purchase of Denmark’s Maersk Oil and the renewal of the ADMA concession off the coast of Abu Dhabi, would account for nearly 700,000 boe/d of 2020 production, de La Chevardiere said, adding Total expects 3% annual decline rates from existing assets. CEO Patrick Pouyanne said he expected Total’s Brazilian output to reach 150,000 boe/d by the middle of the next decade on the back of expansion projects at the Lapa and Lara fields. In January, Total finalized a $1.95 billion deal in which it became operator of Lapa, which came on stream in 2016, taking a 35% stake, and took a 22.5% stake in the Lara cluster of fields, which are due to start producing this year. “We have been the early mover in Brazil,” Pouyanne said, adding Total had “ambitions” to build on its existing Brazilian projects. Pouyanne said he saw continued favorable conditions for project developments, with little sign of cost inflation outside of the US. 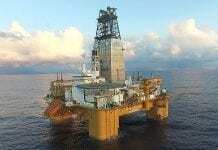 Internationally, deepwater rig utilization prices are still low, with spare capacity of almost 50%, he said. “When you look at South Korean or Chinese yards it’s even lower than 50%,” he said. “Large capacity was built during the boom … and this of course is still there,” he added, estimating capital costs had fallen by 30% globally since 2014. Pouyanne also underlined Total’s growing ambitions in the Gulf of Mexico, where it has only modest production, but has participated in a number of discoveries. “You can make a very profitable business in deepwater providing you target some giant fields or you are able to tie back your discoveries to existing infrastructure, and these are the two ways that we want to leverage in the future,” Pouyanne said. Total is betting on current and future deepwater projects in three major regions — Africa, Brazil and the Gulf of Mexico — to increase production to 500,000 boe/d by 2025, President, Exploration and Production Arnaud Breuillac told analysts. To achieve this, Total is “rebalancing” its portfolio to include additional “high risk-high reward” projects, he said. Total is already leveraging existing African holdings in Moho Nord, Kaombo and Egina with “short-cycle” projects while developing future projects in Nigeria’s Owowo and Preowei plays. The Republic of the Congo’s Moho Nord field began production in March 2017, while Angola’s Kaombo North prospect began producing in July. With the start-up of the Egina field in Nigeria at the end of 2018 and the Angolan Kaombo South startup in 2019, Total expects its African production to reach 200,000 boe/d by 2020. In Angola, Total will use tiebacks to existing floating production, storage and offloading vessels at Dalia, Clov and Pazlor to shorten the production cycle and reduce costs by about half those of 2014, increasing production by 30,000 boe/d. 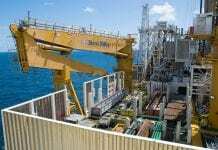 “Africa is where we developed our [deepwater] expertise,” Breuillac said. Total expects Brazilian production to reach 100,000 boe/d by 2020, as it launches Phase 3 of the pre-subsalt Lapa project. Development continues at the Libra and Lara fields. 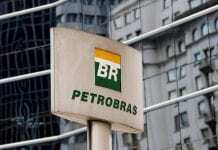 “Brazil is a growth area for Total,” said Breuillac. In the Gulf of Mexico, Total expects total production to reach more than 100,000 boe/d by 2020. 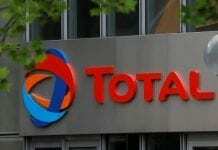 Total saw four wells start up in the second quarter on the Tahiti project, where it has a 17% stake. Total expects to make a final investment decision this year about the Jack field, where it has a 25% stake, as well on the North Platte and Anchor fields, where it has 60% and 32.5% stakes, respectively. Total is appraising the Ballymore discovery, part of a plan to capture acreage and prospects in the eastern Gulf of Mexico with the Norphlet and Wilcox plays. In the North Sea, Pouyanne said the Maersk deal would allow Total to “high grade” its portfolio, and it intended to market UK assets representing 40,000 boe/d of production in the coming months. Total also announced its was buying Chevron’s stake in the Danish Underground Consortium, raising its stake from 31% to 43%. DUC produced 182,000 boe/d last year, with a boost expected from the Tyra gas field, which is due on stream in 2022. 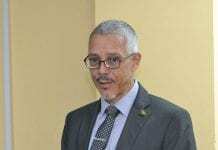 Pouyanne also said the company had 1 billion boe of “short-cycle” resources, particularly in West African waters, that it sees as viable at current oil prices, but where development can be reversed in the event of oil prices falling again. These projects should deliver 100,000 boe/d of production after 2020, he said. “One of the instructions we have given when we look at the price of $70-$75/b to our subsidiaries is that they can look again and sanction quickly some of these barrels. We plan to sanction around 400 million barrels of resources by the end of 2019 at capex of lower than $7/boe — mainly tie-backs, infill wells, in particular in West Africa,” he said. On the gas side of the business, Pouyanne voiced confidence in China’s demand for LNG, after Beijing announced it wanted to increase the share of gas in its energy mix to 15% from around 6%. He said China’s LNG demand had grown by around 50% year on year in the first half of 2018. “This is a large growth [area]. We anticipate at least 5% a year for the next 15 years. This explains, of course, why Total has positioned itself strongly into that market. 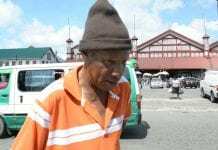 When you look at the supply there is room for new projects,” he said.